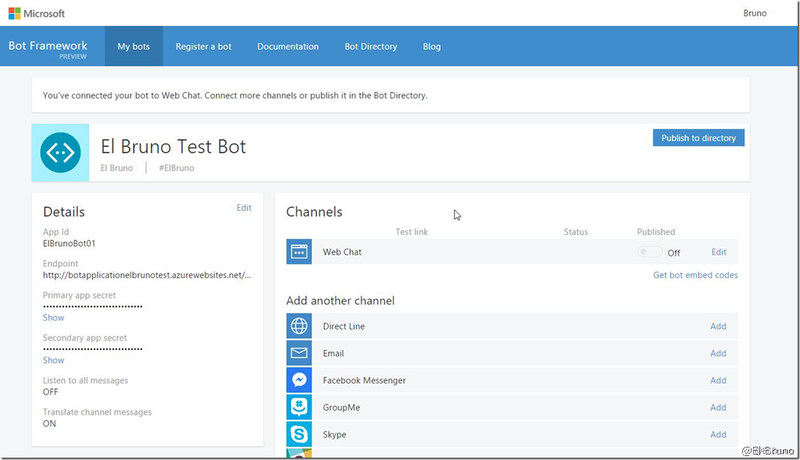 #Bots – (III) Connect to bots channels, #Skype, #Facebook, #Telegram and more ! 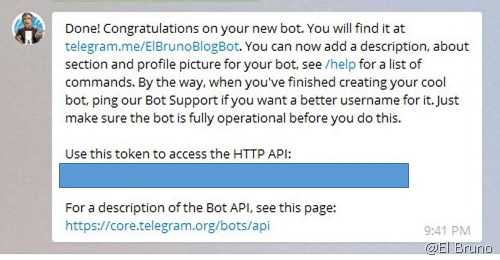 As I wrote in my previous post, once we have out Bot registered, the Web Chat channel is automatically enabled for our Bot. My next natural step was to enable the bot in a Skype account. I was redirected to the Skype Bot Configuration page. 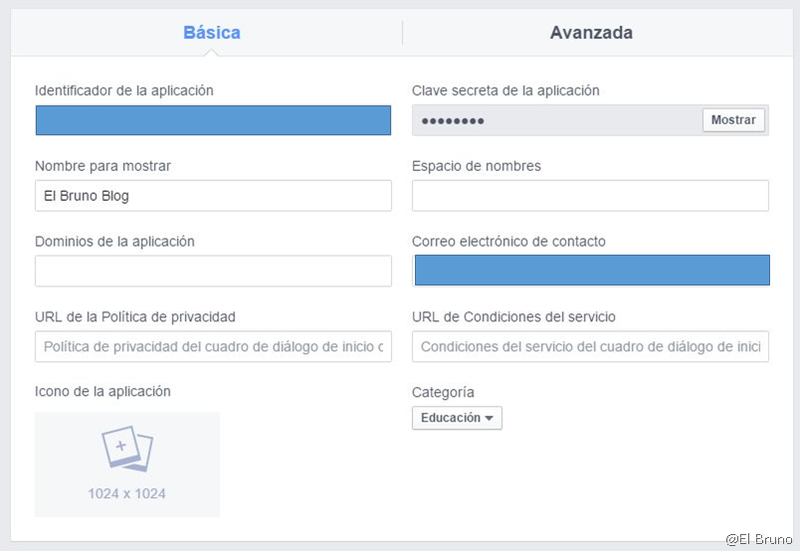 As you can see in the following image, the configuration page is very straight forward, with all the necessary steps. 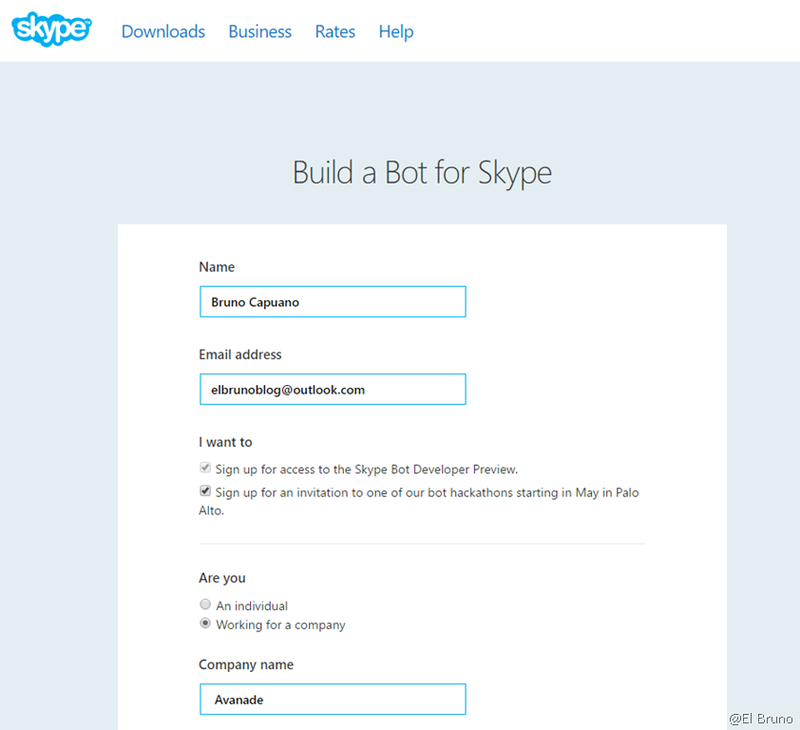 Once we get all the Bot information we need to go to the Skype Bot Portal using a Microsoft account. For this sample I’ve created a sample account [elbrunoblog@outlook.com] and requested access to be part of the Bot program. 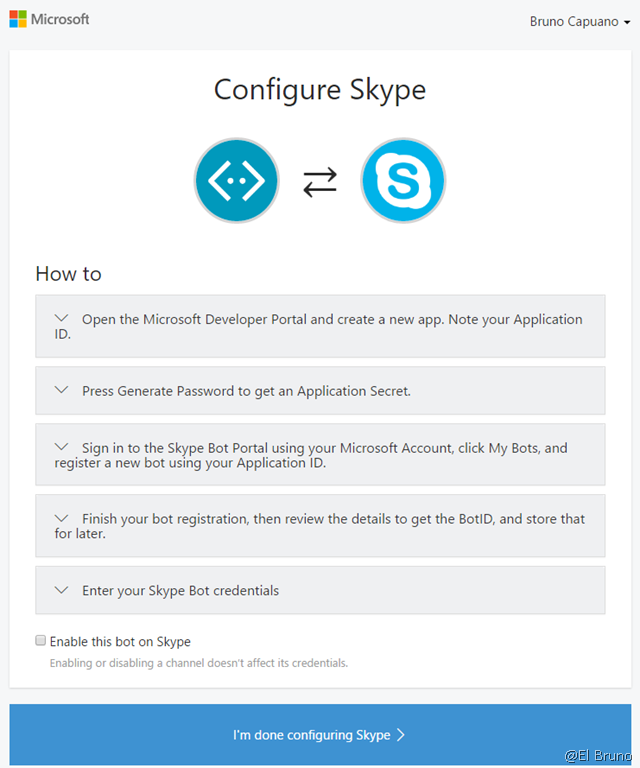 At the end, to connect my Bot with Skype means wait until to get into the Skype Bot program. Time to move on. 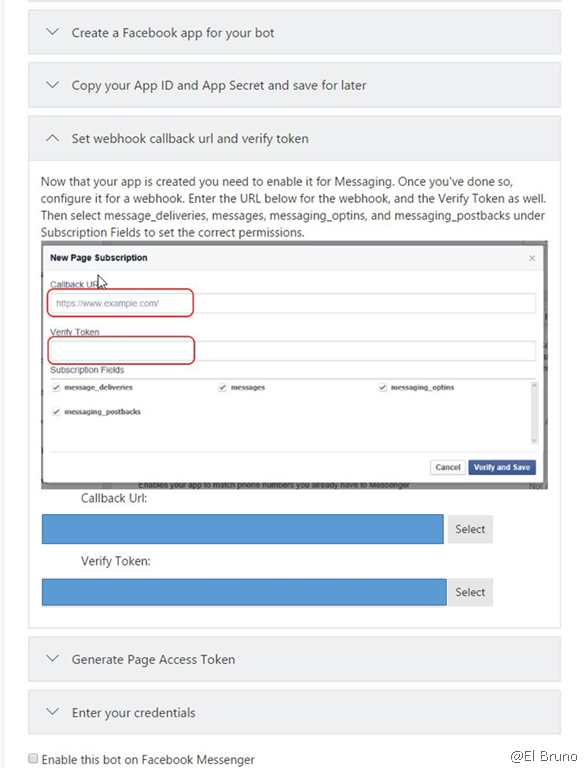 So, a couple of configuration minutes later I’ve got my basic Facebook App created and all the mandatory information was available for me. So, at this moment I was very upset. I’ve spent some time dealing with Skype and Facebook, and I couldn’t test my robot in a final platform. However, Telegram was there with a big surprise for me. 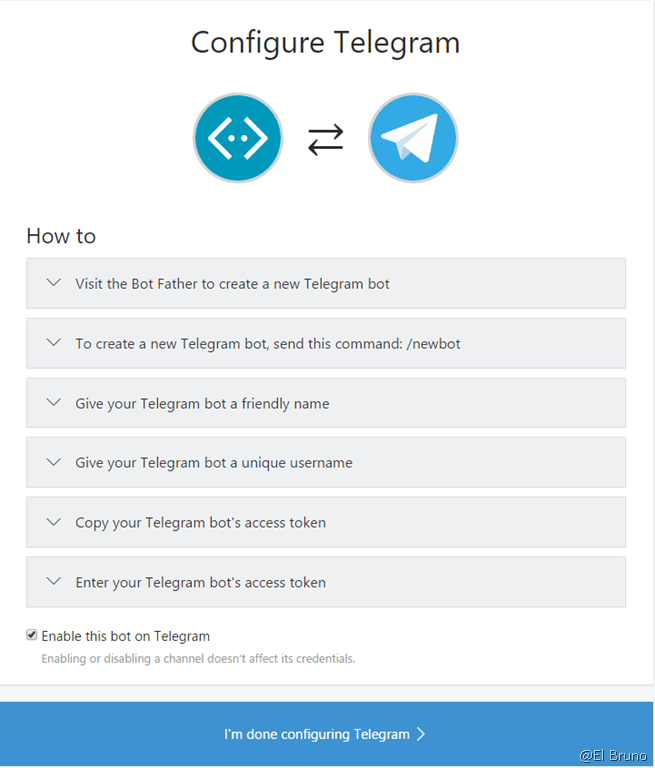 Like Skype and Facebook, we have a nice Bot Telegram Configuration page with all the necessary steps to do this. The creation of the bot is using @botfather, which is so smart. 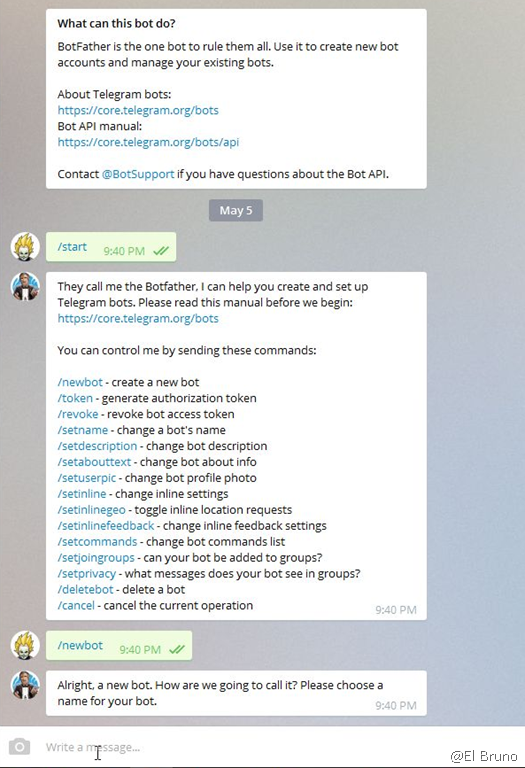 Bot Father is a Telegram bot to create bots !!! And of course, I got a Token which I will use later on the Bot configuration page. 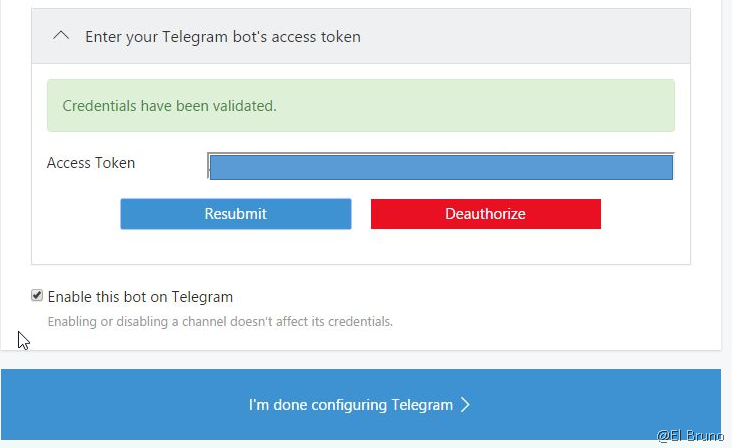 So, I enable my Telegram credentials for my bot and that’s it! is working. 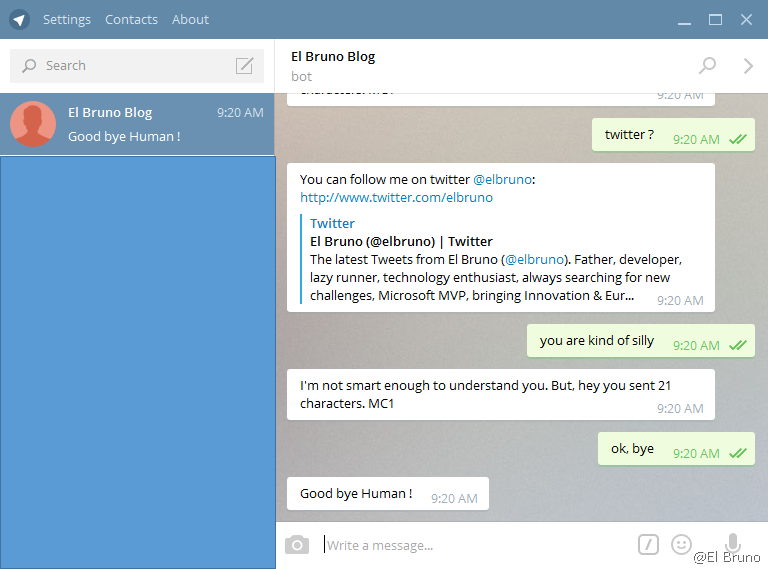 And I can finally have a “nice conversation” using telegram with my bot ! 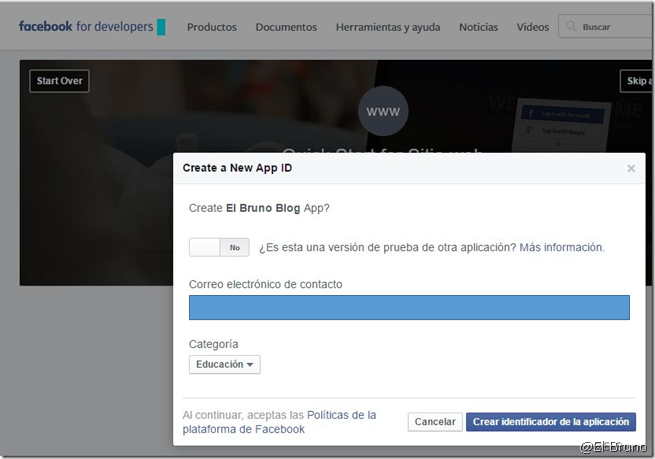 Una consutla cuando coloco Publish en mi solucion no obtengo la opcion Microsoft Azure App Service, a que podría darse?, mi cuenta si tiene un subscripcion en Azure.Saludos!